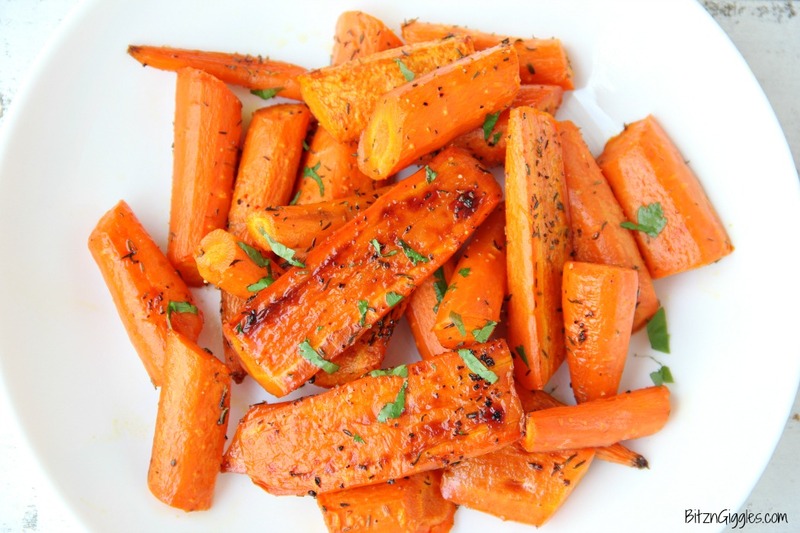 Honey Roasted Carrots – sweet and flavorful carrots roasted to perfection! 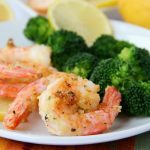 Such a delicious side to any meal! This is going to be hard to believe but there are some days, I crave vegetables over something sweet. During the week, I prepare veggies in so many different ways. I broil them, grill them, sauté them and roast them. In the winter months, roasting is probably my favorite preparation method. It just brings out so much flavor! 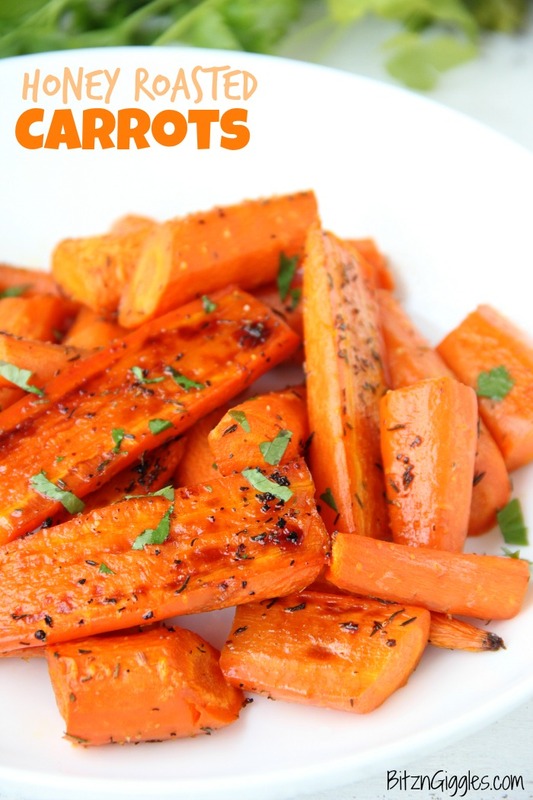 My husband loves these honey roasted carrots. Whenever I roast vegetables in the oven, I use my Silpat baking mat. It makes clean up SO easy. I drizzle the carrots with some olive oil and honey and then flavor them with some thyme and a little bit of salt. It’s the perfect flavor combination. The honey helps caramelize them a bit in the oven and they come out tasting sweet and delicious. Would you believe they’re even better the next day? They are. These bright orange beauties only take 30 minutes in the oven and go well as a side to chicken, ribs, beef – you name it! 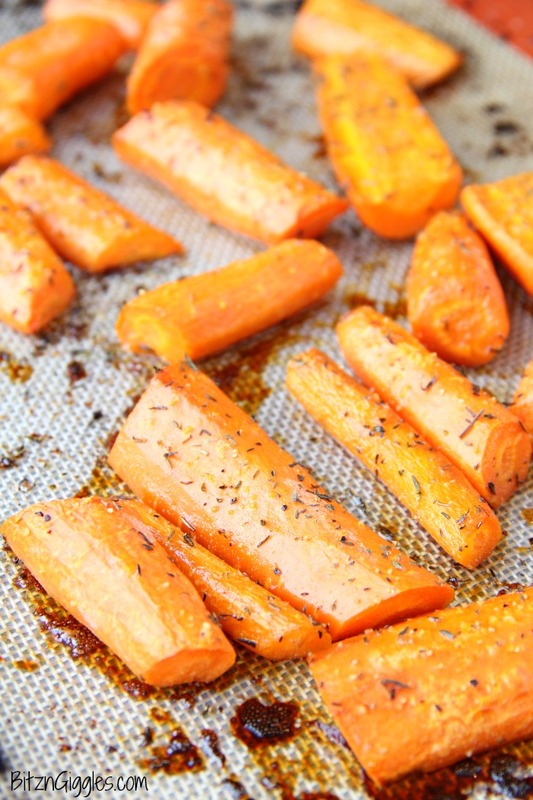 They’re so worth it and I’m betting you’re going to love these honey roasted carrots, too! 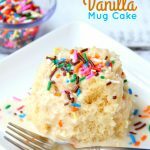 I can’t wait to hear from those of you who try them! 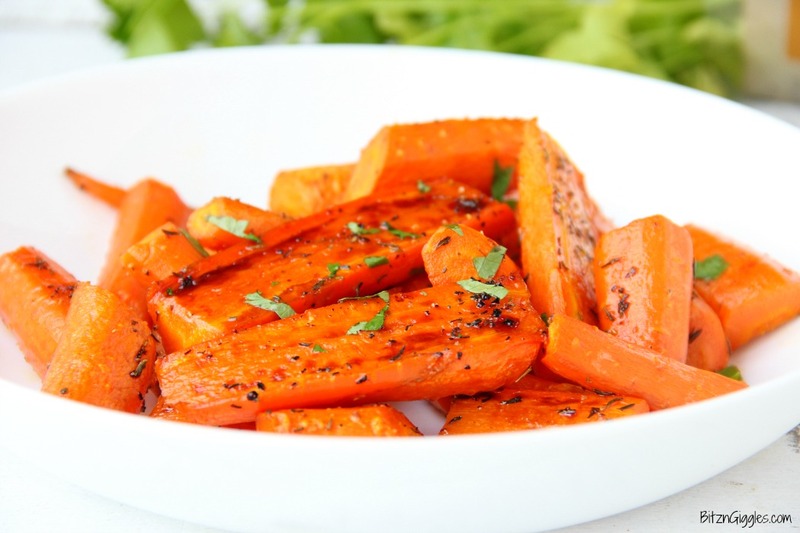 Sweet and flavorful carrots drizzled with olive oil and honey, sprinkled with thyme and roasted to perfection! Clean and slice the carrots diagonally in 1 1/2-inch-thick slices. Line a baking sheet with parchment paper. Toss the carrots with the oil, honey, salt, and thyme until well-coated. Arrange in an even layer and bake in the oven until browned and caramelized, about 30 minutes. Allow to cool on the pan for a few minutes. Just got a 6qt air fryer. Made a whole Chicken and about 30 minutes into cooking I put carrots and potatoes in. Don’t know how to cook them . Half done do you need to put something on them. I would like a one pot meal. Need help. Is there A cook book? Thank you. I’ve not cooked potatoes, carrots and my chicken at the same time in the air fryer. Normally, I’ll put my chicken in there and make the sides in the oven. 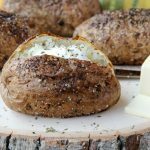 There are tons of air fryer cookbooks available on Amazon. Our son got us an air fryer for Christmas and I was searching for recipes and came upon your whole chicken. 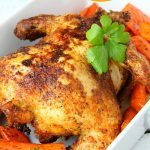 I used your spice recipe and the chicken was amazingly juicy and delicious! 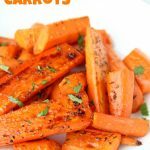 I’ve never been a big fan of carrots but your honey roasted carrot recipe sounded good so I thought I would make those too. I really liked them a lot and will definitely be making both again. Oh I’m so happy you enjoyed the chicken and carrots! Thanks so much for leaving a comment!